I just made a club (kingdom hearts series/charecters) would u like to join? Which version of my Namine cosplay do u like more? - "Roxas! We will meet again. And then we can talk about everything. I may not know it's you, and u may not know it's me. But we will meet again. Someday soon. I promise!" 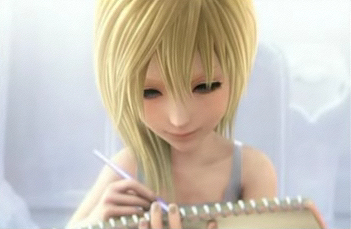 a poll was toegevoegd: Which version of my Namine cosplay do u like more?